One of the most prominent features of Timothy Lake are the stumps. The lake was created when the Timothy Lake Dam was built in 1956 to regulate the waters of the Oak Grove Fork Clackamas River. 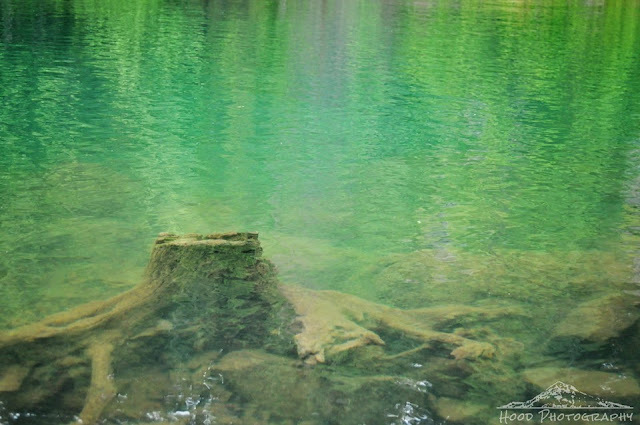 The remains of the long ago forest can still be seen in the clear waters along the banks. One of my favorite places to camp! Wow! I had no idea that stumps could last that long. Is the water naturally that green? It is beautiful. Pretty... and kind of spooky! Makes me wonder what else is under there?! It does have a bit of a spooky feel to it, but it's beautiful! I've seen stumps in water before but your capture and post is unique. Great input this week. Always enjoy seeing your blog week to week.